In Untitled (Log with Model of the Universe), Peter Coffin offers us an allegory of the world as physicists and mathematicians imagine it. 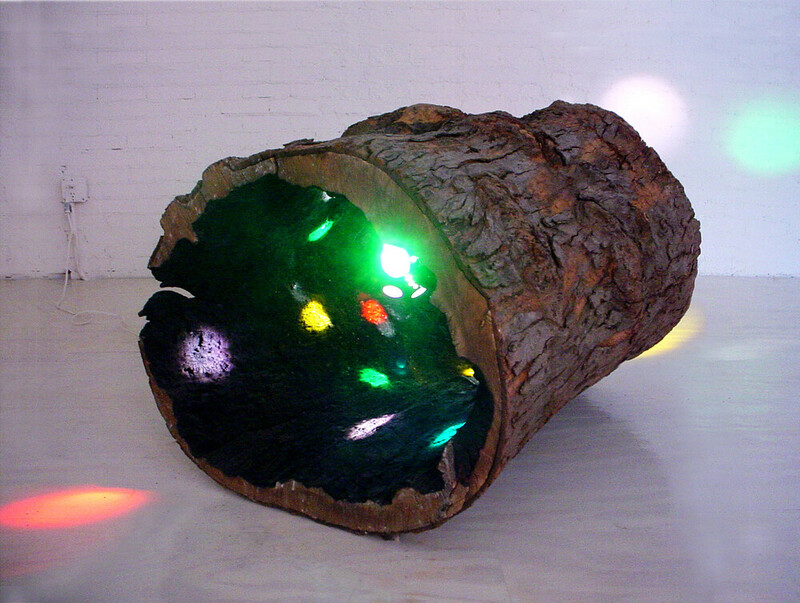 Given concrete form in a hollowed-out tree trunk in which colored spotlights worthy of a discotheque turn round and round, the allegory reuses in a trivial way the graphs that scientists employ to illustrate the relationship between third and fourth dimensions. Nature and culture collide here in a put-on that assumes a very serious mien.